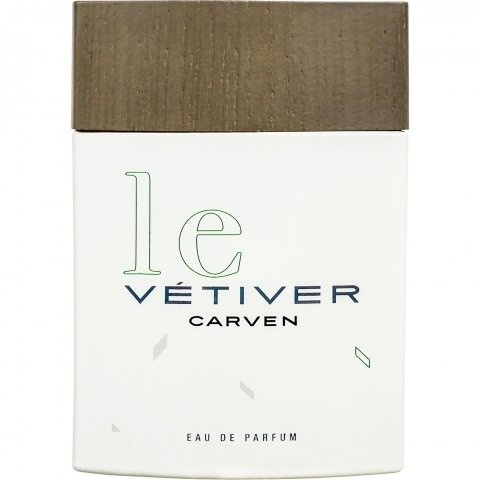 Le Vétiver is a popular perfume by Carven for men and was released in 2009. The scent is spicy-woody. The production was apparently discontinued. This fragrances is said to be based on the original formula of the scent "Vétiver" from 1957. ...is this great fragrance. Unfortunately! But I was able to exchange a bottle of it for myself. (thank you, dear J.) This vetiver indeed takes me a little into another orbit. First, this fresh, bitter entry, carried by mint with the wind. Second: A 2-fold "farnige" lavender note, reminiscent of freshly mown meadows, then the warm, earthy, conifery-spicy scent flag, which forms the basis of "Le Vetiver". Like a forest after a summer rain that breathes a sigh of relief and takes the wonderful scent molecules of its surroundings with it and carries them far out. Even in the nearby city you can still see them clearly and enjoy them. With this slightly unusual Vetyverduft you can create your own space and get away from everyday worries. But especially for hot and sultry days like these, the "lighter" touch of this fragrance is like a fresh breeze, slightly "moist" and ultra- pleasant. I love Oud, Musk and Patchouli. I kind of also like the Vetiver note if it is well blended to produce certain types of fragrances, in particular dark fragrances. "Le Vetiver de Carven" is a bright, almost fresh, old school Vetiver fragrance. I should not like it, but I do. The opening is bitter fresh, a bit flowerly, not zesty, and gives you a feeling of cleanliness. The fragrance then evolves with boozy pepperish patchouli notes, surrounded with an omnipresent Vetiver. The dry down is very pleasant. You still get the omnipresent Vetiver but in a more balsamic and musky environment. Nice performance with 2 hours projection, more than an arm lenght sillage in its peak, and a longevity of 8+ hours. Uniqueness:................................7.5 (there are more than a couple similar fragrances, although not as fresh as this one. Not the best one for dates, and forget it for clubbing. Do I recommend it? Yes! Absolutely! In particular to the vetiver note fans, which is not my case. On top of it it's really an inexpensive bottle. Back To The (Vetiver) Roots! “Separates the boys from the men” - this Baldessarini ad campaign slogan inevitably comes to my mind after comparing Carvens Vetiver and their Le Vetiver. Being apparently first released in 1957, Carvens Vetiver was the first fragrance of that kind, although today, it stands in the shadow of its famous follow-up by Jean Paul Guerlain. Nevertheless, it has always been around, and Carven seems to have been adjusting it to the common taste all the time. Recently, I had the opportunity to test the predecessor of the current version, and it had the “powerhouse” aromatic fougère appeal of the last decades of the 2nd millennium. Just as Guerlain modernized their Vetiver for the new millennium, so did Carven. The change was even more radical – all leftover macho style is gone. The new Carven Vetiver is urban, modern, detached, shaded and unemotional. It has some lavender, and some powdery notes – and almost no citruses. It is simply cool. In a way it lacks the earthiness of so many Vetivers. The distinct character of vetiverylacetate and the 1950's roots has led to the widespread opinion that Vetivers are only for the elderly gentleman. If you share this attitude, then the current Carven Vetiver is the only one recommendable for young men or even teenage boys! A while ago Carven launched a variant they call “Le Vetiver”. The story behind it is that they re-issued the vintage Vetiver from the Fifties! So, all those vetiver lovers who think that Carven has gone too far with its reformulations might have reason to give it a try. Maybe, this is the real thing from the past – who knows? The fragrance itself can be quickly described. Le Vetiver is Carven's Vetiver plus a decent spritz of Guerlain's Jicky or Mouchoir de Monsieur! Although not listed, the additional note in here smells like civet to me ! The addition of that animalic note, of course, considerably changes the character of the whole fragrance. It is not so much up to date on first sight. It points backwards to a time that is gone for good. Yet, it reflects the minor trend in perfumery to go away from the very light perfumes, back to some more distinction. It is a courageous decision to give Le Vetiver such an animalic appeal. Many people abhor the strange smell of civet and the like, so it is not used that often. But it is a good blend here, although it may take a while to find out. With that animalic note, Le Vetiver is not a straightforward Vetiver in a way that i.e. the Guerlain vetiver is. If Carvens Vetiver is for the boys, then the Le Vetiver is for men. It is unusal and not everybody's darling. I am a bit surprised about myself – I am going to like it! Write the first Review for Le Vétiver!